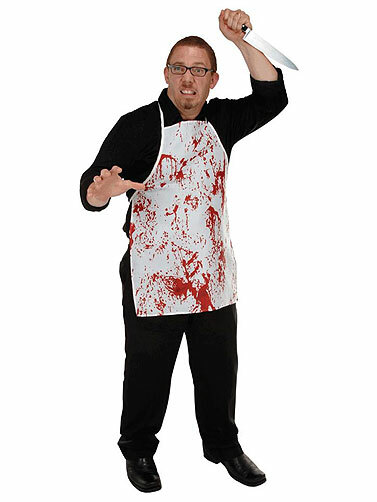 Look like you just butchered something or someone when you wear this fabric apron that is pre-stained with simulated blood. Polyester. Simple design, ties in back. Bloody Fabric Apron is one size fits most. Knife shown in picture is not included.